#NagpurSession:5th Day Assembly Winter Session. 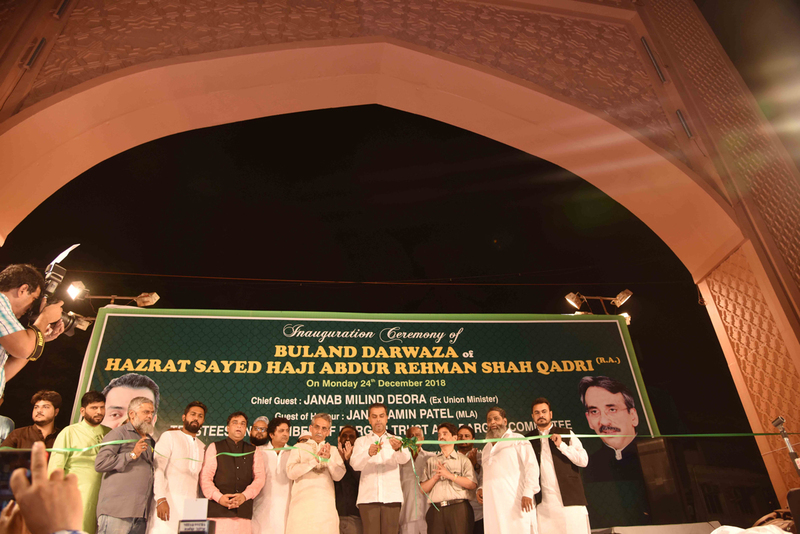 Description: Inauguration Ceremony of BULAND DARWAZA of Hazrat Sayed Haji Abdur Rehman Shah Qadri (R.A.) on occasion Chief Guest Milind Deora (Ex.Union Minister),MLA Amin Patel & Trustees & Member of Dargah & Respected Dargah Committee Members . INAUGURATION CEREMONY OF SURANA SETHIA DIANOSTIC CENTER WITH PHILIPS CT SCAN BRILLIANCE 64 SLICE CHIFE GUEST UNION MINISTER OF STATE,HOME AFFAIRS HON'BLE SHRI GURUDAS KAMAT AT SUMAN NAGAR,SION TROMBAY ROAD,CHEMBUR MUMBAI.